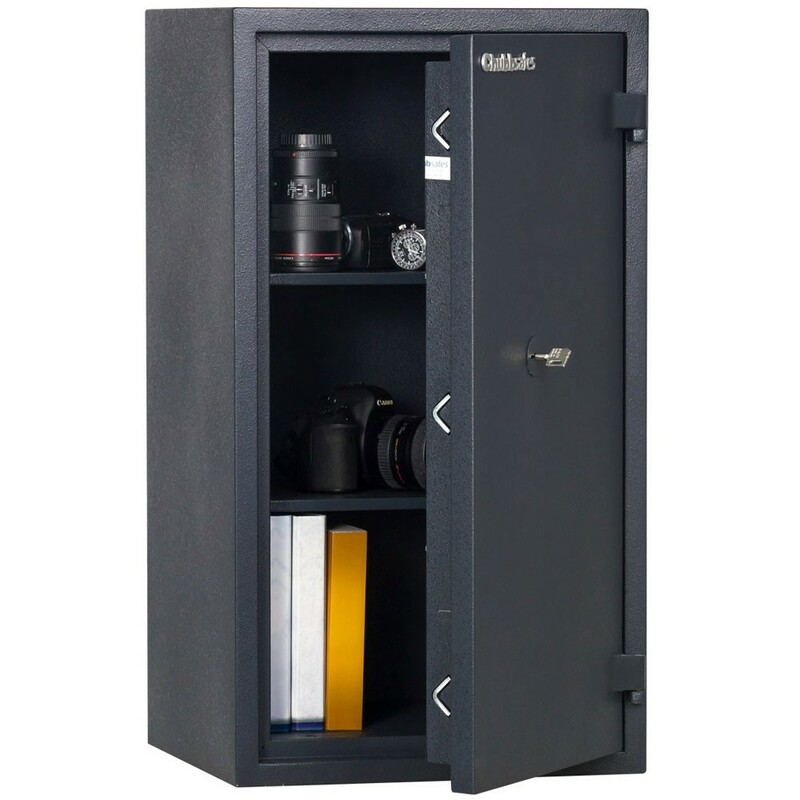 The Chubbsafes Home Safe has a volume of 71 litres and is certified by ECBS in accordance with the European EN15659 standard to provide 30 minutes protection for documents in the event of a fire. Furthermore, it is certified by ECBS in accordance with the European EN14450 standard to burglary resistance Level S2 thereby offering a cash rating of £4,000. The key lock is simply operated by turning the inserted key. The Chubbsafes Home safe is constructed using an inner and outer layer of steel containing a specially formulated burglary and fire resistant material. The "V" bolt locking system on the safe door is designed to maintain door integrity during fires. 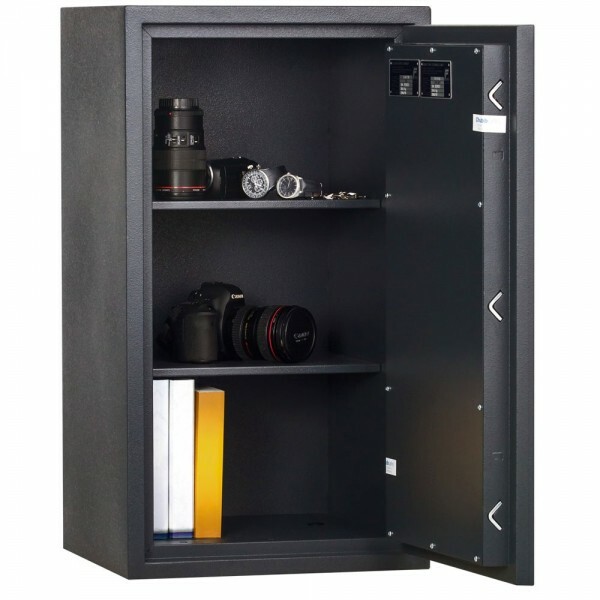 It is supplied with adjustable shelves for convenience if more space is required.